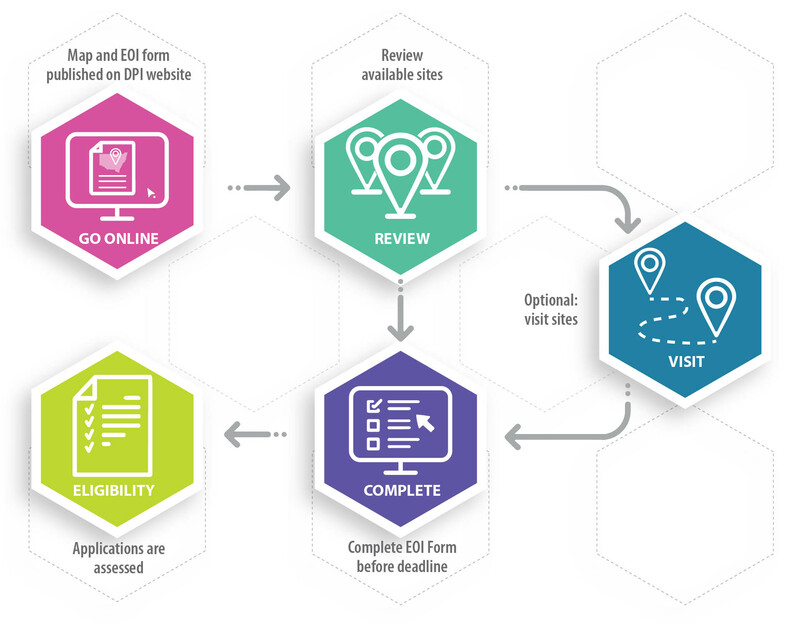 EOI releases will be held periodically to allow applications for sites that have become available. Details of each release will be published on this page. Sites will be published online for a period of 1 month during which sites and can reviewed and EOI applications submitted. Further detail of the EOI process is listed below. Link to review sites and apply. 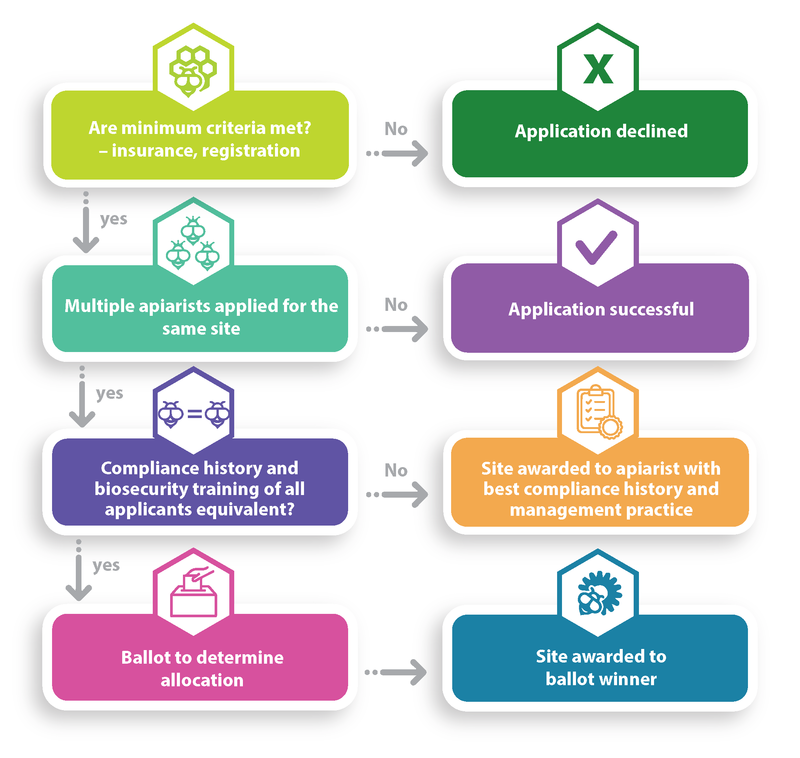 The following infographics explains the planned high level application and assessment processes. For any further information contact the DPI Apiary Sites helpdesk at apiary.sites@dpi.nsw.gov.au.